For the PCBs we produce in China we consolidate most of our goods at our export terminal in Hong Kong. Once they arrive in to us we divide up the consignment and freight it directly to the customer. Short periods of warehousing may be offered where required. Alan Strevens, Operations Manager at NCAB Group UK, tells us about their new warehouse in Devizes, Wilshire. The new NCAB Group UK warehouse is finally ready after being renovated during 13 months. NCAB Group UK have many customers who require warehousing, and providing this service gives us an additional competitive edge. It is the last step in our logistics and is something we take pride in so it is important that we continue to make improvements to ensure we offer everything that our customers would expect from us. We acquired additional storage premises towards the end of 2016 when we took over an old grain store a ¼ mile down the road. The renovation has taken around 13 months but all stock has now moved in and product is now being received and booked out from the one location. It has not all been plain sailing, it has taken a lot longer than originally anticipated, and it was quite a task to get all of the processing abilities relocated without holding up the service. 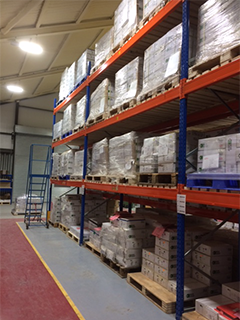 But Justin Matthews, Warehouse Manager NCAB Group UK, and his team have ably achieved this and we are all pleased to now have all of the stock in one location. 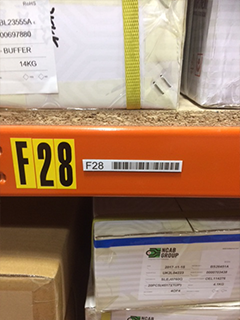 In our new warehouse we have installed a new barcode scanning system that will be used to keep track and book in our shipments. It is also possible to produce a ‘delivery process’ sheet to pick from, which results in a much quicker process as you can book out everything you have printed by a couple of key strokes. We are currently trialling this on picking for one of our bigger customers. Do you have any questions about NCAB UK’s warehouse?